Deerhunter están de vuelta. 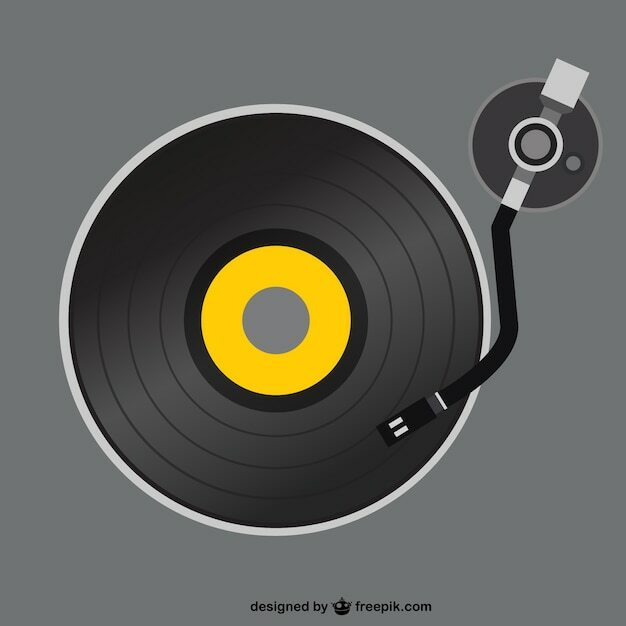 Y lo hacen con miembros originales más las colaboraciones de miembros de Stereolab y Broadcast y la producción de la propia banda y el productor Ben H. Allen III. Está claro que Fading frontier (2015) no va a ser el mejor álbum de la banda, evidentemente, pero ello no quita que no contenga momentos más que interesantes. El sonido de la banda, además de madurar, ha derivado hacia un grado de pulcritud que anteriormente no existía, y finalmente se acerca más al concepto de Art-Rock que al de Pop experimental de sus primeros trabajos. Incluso se permiten el lujo de juguetear con sintes (Living my life, Take care) o con algo parecido al Proto-Funky (Sneakeskin) o realizar experimentos espectrales de ciencia ficción (Leather and wood). Donde se encuentran los puntos culminantes del álbum es en All the same, la canción más fácilmente reconocible con el sello Deerhunter, absolutamente arrebatadora. Breaker, donde Bradford comparte tareas vocales con Lockett. Duplex planet y la mencionada Snakeskin, donde la rabia de Cox y su socarronería aparecen con toda la fuerza de sus primeros. Fading frontier es un disco correcto, que no pasará, como decía a la historia como su mejor trabajo, pero que se deja oír con bastante más facilidad que obras anteriores. Además, y como curiosidad, la banda ha publicado un disco de tan sólo nueve temas. Por una vez han dejado de lado la productividad y la creatividad en aras de una obra más unitaria. “The record was made by founding members Bradford Cox, Lockett Pundt, Moses Archuleta, and bassist Josh McKay. Written in their hometown of Atlanta, GA, production duties were shared by the band and Ben H. Allen III, continuing a collaboration that began with 2010’s Halcyon Digest. Following the death-rattle garage catharsis of Monomania, the group have shifted towards something strikingly balanced, focused on melody and texture. The songs are brighter; if not in content, then in the album’s production. Starkness plays against clutter in what is the band’s most complex yet accessible work to date. Cox and Pundt share lead vocal duties (a first for the band) on the enthralling ‘Breaker’, while the darker ‘Take Care’ (featuring Broadcast’s James Cargill on synthesizers and tape manipulation) and ‘Leather and Wood’ – a strange hybrid of J.G. Ballard’s dystopian grey-skied science fiction, and the most spartan Motown downer imaginable – paint a varied spectral landscape. Elsewhere, the likes of ‘Snakeskin’ showcase a sinister flirtation with minimalist funk, whilst Pundt makes a typically masterful statement with the synth-diffused ‘Ad Astra’, which culminates in one of the album’s most transcendent moments. Creo recordar que en una de las últimas ocasiones que hablé de Deerhunter mencionaba que la banda de Bradford Cox iba sembrando de obras maestras el camino de su andadura musical. También decía que Halcyon Digest, su último trabajo (como Deerhunter) hasta la fecha, era algo así como el Loaded velvetiano de su carrera musical. Para ser sincero, los adjetivos se me van quedando cortos y estrechos a la hora de etiquetar la música de Deerhunter. 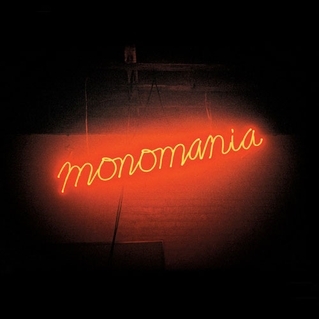 En Monomania (2013), los chicos parece que se decantan de nuevo por una faceta algo más oscura y desde luego por una distorsión mayor (Monomania, Leather jacket II, Neon junkyard, Punk -La Vie Antérieure-); faceta destacable no sólo en el sonido de las guitarras e instrumentación, sino también en la mayor parte de las voces de Cox, reflejo quizás de una situación personal o vital algo más amarga (no así en los temas aportación de Lockett Pundt, mucho más pausados y dreampoperos: The missing). Lo que sí que es cierto es que (de nuevo), la mayor parte de los temas que componen este disco son tremendos. No sé por qué, pero cada vez que oigo a Deerhunter tengo la impresión de encontrarme ante una “bestia” creativa como Lou Reed y las relaciones que encuentro a Deerhunter con la Velvet Underground siempre son grandes. En Monomania volvemos a encontrarnos con auténticos monumentos sonoros: The missing, Dream captain, Back to the middle… Cortes inmensos en los que la creatividad unida al acierto compositivo (esos riffs geniales o los mantras sonoros “marca de la casa”) hacen del conjunto un momento inolvidable. Si bien Deerhunter quizás abandonaron ya su veta, digamos, más “experimental” (influencias del Kraut, acercamientos electrónicos…), los temas de los de Atlanta siempre dejan ese poso a medio camino entre el Pop más experimental y Psicodélico (Sleepwalking). Monomania no pasará por ser su mejor disco (le falta un cierto poso de unidad), pero, como se afirma en Jenesaispop, “es un disco de Deerhunter”. El quinto álbum de la banda de Bradford Cox es un disco con diversidad de elementos (Craunchies e incluso algo discordantes en el conjunto: Pensacola), pero según han afirmado recientemente, algunas de sus influencias son Bo Diddley o The Ramones. Ello da una idea del pensamiento (amplio) y de la diversidad de miras de Deerhunter. Su música perdurará. De ello no me cabe duda. “But while the songwriting power has become centralized, Monomania as a whole represents Deerhunter’s attempt to get outside themselves. This is particularly true of Cox; whereas onCryptograms’ “Hazel St.”, he imagined what it might be like to fit in with the normal kids during his childhood in Georgia, years later, this dynamic is fully inverted and he’s found a group of outcasts that’s emboldened in their idiosyncratic embrace of a Dixie upbringing. 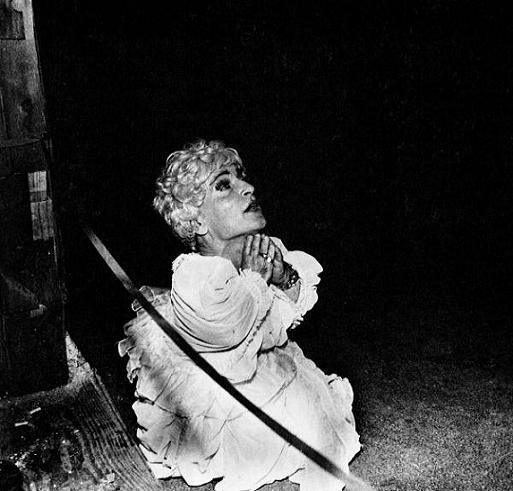 You can hear the influence of neighbors/collaborators Black Lips in dirtbag storytelling like “Pensacola”, or just in the plain fact that Monomania is the first Deerhunter album that would be welcomed in a dive bar. Their previous physicality was defined by coiled intensity and quick strikes, whereas here they swagger and flex beer muscles. The perverted classic rawk riffs of “Neon Junkyard” and “Leather Jacket II” twist and yowl while “Back to the Middle” and “Dream Captain” are so immediately accessible, they could somehow come off as beneath Deerhunter. The more prevalent inspiration comes from fellow Athenian and mentor Michael Stipe; you can hear echoes of R.E.M.’s Monster in both the obscene distortion and the decision to follow up their richest, most rococo record with a defiant squall. Cox similarly plays against his reputation given the opportunity, using winks and irony to deviate from the impression that his band’s music is somewhat humorless and sexless. It’s every bit as confrontational as Deerhunter in their dress-wearing, blog-attacking days, only more fun. This can manifest in the glammy stream-of-consciousness from Monomania’s opening duo (“I am the Queen of Bass,” he announces on “Leather Jacket II”), or any of the first-person narratives that make good on his purported Hank Williams and Bo Diddley listening. Taking as many liberties with “Werewolves of London” as Kid Rock, “Dream Captain” might come off as puerile southern comfort if it wasn’t such an obvious defilement of it– bratty boasts like “I’m a boy, man/ And you’re a man, man” are tough to hear as anything other than comedy. 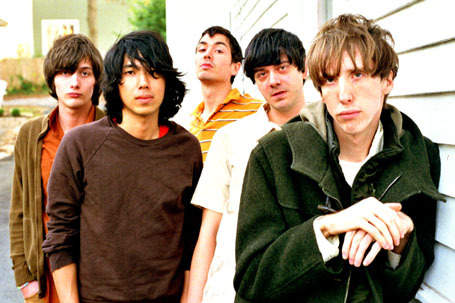 Likewise, on “Pensacola”, an unfaithful woman leaves a Greyhound-riding somebody who is clearly not Bradford Cox with “a bald head and trouble.” Is it unfair that Deerhunter can get away with these because they’re Deerhunter, whereas it’s pure shlock from any number of southern rock revivalists? Perhaps, but having a laugh at one’s own expense is hardly the most egregious form of an earned indulgence. 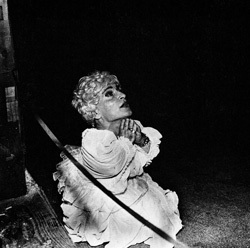 But while Monomania as a whole is an unpredictable fulfillment of an unforeseen whim, it’s Deerhunter’s least revelatory and surprising album on a song-by-song basis. There isn’t a clear showstopper along the lines of “Helicopter” or “Nothing Ever Happened”, though the title track makes an admirable effort. They’ve always had a knack for mantras, and after a verse of plaintive gospel shouts (“Come on God, hear my sick prayer/ If you can’t, send me an angel!”), the nagging phonetics of “mono, monomania” get repeated ad infinitum before dissolving into white noise, motorcycle revving, and a soap opera device that Deerhunter makes frequent use of: after all this time, Cox unexpectedly wakes up. “I was a dream of myself,” Cox admits during “Nitebike”, a startling confessional of nothing more than his reverbed vocals and acoustic guitar. Perhaps taking another step back towards the medical maladies that pervaded both his youth and early Deerhunter, he imagines himself on his Big Wheels, “On the cusp of a breakthrough/ When they took me out/ And stuck it in/ It went so deep, man.” Another line gets repeated in greater detail on the Baudelaire-referencing closer “Punk (La Vie Antérieure)”, where Cox muses, “For a year, I was queer/ I had conquered all my fears/ Not alone anymore/ But I found it such a bore.” It feels something like Cox’s “All Apologies”, a litany of wearied, bemused dissatisfaction with everything that he presumed might save him– getting drunk, being punk, friends, lovers. The plainspoken finality of “Punk” suggests it’s not just a closure on Monomania, but of everything that preceded it. Hablar a estas alturas de Deerhunter resulta casi repetitivo, ya que las numerosas muestras de entusiasmo que provoca la música de Bradford Cox resultan reiterativas y además, no están carentes de razón. El proyecto liderado por Cox y respaldado -no se olvide- por Lockett Pundt, continúa dejándonos obras maestras por el camino. Este Halcyon Digest (2010) es otra de ellas. Un disco absolutamente arrebatador, en el que el talento de Cox continúa tomando de aquí y de allí, picoteando como una gallina en el inmenso corral que es su disco duro musical. Porque Halcyon Digest es una pequeña Caja de Pandora en la que casi todo cabe: desde la digamos “experimentación” de Earthquake, a los sonidos más Indies, reminiscencia del reciente pasado de la década de los noventa -aunque Cox afirme que el disco está basado en vivencias recordadas o imaginadas provenientes de los ´70 y los ´80´s-: Don´t cry, Revival, Fountain Stairs; a la delicadeza sutil de Helicopter, un temazo a lo Robert Pollard; el sonido algo Retro de los Everly Brothers convenientemente tamizado (Basement scene); el Dream-Pop de Sailing o Helicopter; el homenaje al sonido de The Lilys de Revival; el acercamiento Psicodélico de Desire lines… En nuestra opinión, un álbum que se aleja algo del aire más sofisticado de Microcastle, acercando algo más al sonido de Deerhunter a la belleza terrenal, a las canciones que transmiten sentimientos tras una primera escucha. Por encontrarle algo de sentido: la música de Deerhunter ha experimentado con este Halcyon Digest una evolución semejante a la que la música de la Velvet Underground si tomamos en cuenta sus dos primeros discos y los comparamos con Loaded, un álbum mucho más asequible pero preñado de buenos temas. Halcyon Digest sería algo así como el Loaded de Deerhunter. En cualquier caso, un discazo. [Halcyon Digest] is a reference to a collection of fond memories and even invented ones, like my friendship with Ricky Wilson or the fact that I live in an abandoned victorian autoharp factory. The way that we write and rewrite and edit our memories to be a digest version of what we want to remember, and how that’s kind of sad. This is relevant: Cox is a colorful, charismatic personality, one who pushes boundaries in interviews and on-stage banter, but at the end of the day, Deerhunter’s music is more ’80s and ’90s indie nostalgic than boundary pushing (same could be said for the more abstract Atlas Sound). It’s part of the reason it strikes so many cords with such a diverse audience (guest spots with Stereolab, the Breeders, etc.). He does a great job reprocessing (and Digesting) the sounds of the past through his own collagist aesthetic. Think of that flyer again. As far as the nostalgia, it’s the theme here and it’s rich. The lead track “Revival” sounds like the soundtrack to a ’50s high-school dance. Same goes for “Don’t Cry,” which could also work as a Girls tune. “Basement Scene” intentionally nods to the Everly Brothers’ “All I Have To Do Is Dream.” The Lilys-esque standout pop nugget “Memory Boy” talks about jogging memories. Bill Oglesby adds wafts of your father’s saxophone to “Coronado.” And all of these, from the spacey psych of the opener “Earthquake” onward, somehow sound like songs Cox has recorded alone in his bedroom. Leía no hace mucho en uno de los muchos blogs musicales en los que se ha filtrado con una antelación inusitada este nuevo lanzamiento discográfico de Deerhunter que parecía que se habían pasado al lado más amable y menos experimental de su música. Como si ello fuese algún desdoro!! En principio no estamos en absoluto de acuerdo en que la banda sea “experimental” (para eso ya están Animal Collective, a quienes profesan admiración desmedida) y en cualquier caso si fuera cierto que hubieran tomado tal dirección, sería la acertada, pues el sonido de la banda tiene ese punto justo intermedio entre Lo-Fi y experimental, entre Psicodélico y trascendental. En cualquier caso Deerhunter se ha convertido en una de las bandas de referencia en el panorama musical internacional y en una de las favoritas de quien escribe. Se abre el disco con Rainwater cassette exchange, que sigue los pasos de sus “hermanas” en Microcastle Little kids o These hands. Continúa el Ep con Dissapearing ink, un tema en la onda The Fall, con animadas guitarras reiterativas. Famous last words es la mejor del disco, un tema de medio tiempo con huellas sonoras de Pavement, otro de sus referentes. Game of diamonds es la más lenta y quizás más flojas del disco. 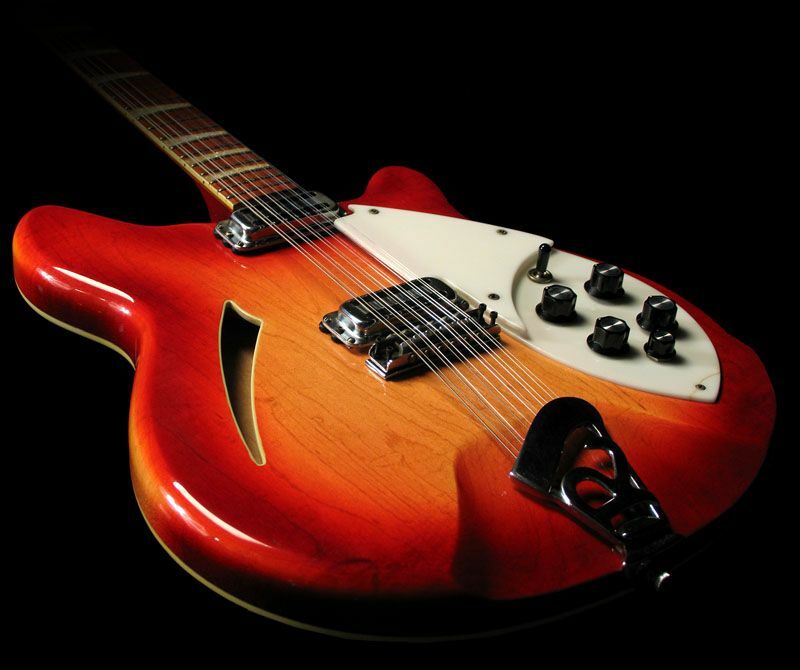 Un largo desarrollo de pocos acordes para un tema prescindible. Pero la intensidad vuelve con Circulation, otro de los mejores temas, de influencia Kraut y tintes psicodélicos al final del mismo. Un disco, en definitiva, que pasa por ser un mini álbum de descartes de Microcastle, su aclamado disco del año pasado, pero que da el nivel como si de una obra autónoma se tratase. Lo que sí está claro es que la banda de Bradford Cox nos está mal acostumbrando a continuos lanzamientos y ediciones, bien como Deerhunter, como Atlas Sound o como Lotus Plaza, las tres formaciones principales en las que aparece reflejada toda esa creatividad del grupo. El disco está producido igualmente por Nicholas Verhes, como su antecesor, y en los mismos estudios Rare Book de Brooklyn. Por cierto, el nuevo álbum es la excusa perfecta para verlos en directo: 30 de mayo en Barcelona, Primavera Sound. Todo un festival. Tercer trabajo discográfico para esta banda de Atlanta liderada por Bradford Cox, quien también lidera un proyecto paralelo llamado Atlas Sound. En este álbum la banda deja algo de lado anteriores elementos más experimentales para añadirle toques más Pop y algo más de brillo en el estudio, el disco se grabó en una semana, por los dos días que tardaron en grabar su anterior Cryptograms (2007). La verdad es que el disco es bastante epatante desde el principio: Intro, un tema corto que nos vaticina lo que vendrá posteriormente, un paseo por un Space-Rock, Neo-Psicodelico como el que gentes como Mercury Rev o Flaming Lips nos tuvieron acostumbrados: Agoraphobia, Never Stops, Little kids, Nothing ever happened son buena prueba de ello, ambientes oscuros, riffs de guitarras zigzageantes, buenas melodías conforman una serie de temas que podrían entroncar también con gentes como The Jesus & Mary Chain, My Bloody Valentine, The Fall, Pavement o incluso Stereolab. Otros temas son más minimalistas: Microcastle, Calvary scars, Green Jacket, más afines a Animal Collective que a otras referencias mencionadas. El disco se cierra con Saved by old times, un guiño al Acid-Pop que hay quien relaciona con Season of the Witch de Donovan; y con Twilight at carbon lake, un tema con estructura de balada añeja que termina in crescendo con una tormenta de guitarras. En definitiva, coincido con varios Blogs y páginas musicales en que este Microcastle es de lo mejorcito que se ha editado últimamente, un disco que no está dentro de los cánones del Pop ni de la música más experimental, pero que igualmente satisface ambas vertientes. Muy recomendable. Por cierto, la banda ha editado conjuntamente el álbum con otro titulado Weird Era Cont.